In New York City, Green City Force provides training and leadership opportunities to youth interested in finding careers in the green energy economy. Community-based organizations have been at the forefront of transforming cities, block by block, neighborhood by neighborhood, acting as both spring boards to economic opportunity and critical safety nets for low-income people and communities. However, to accelerate the pace of transformative impact in our cities, these change-agents need more than financial support for specific programs. They need funders to back them in a way that allows them to amplify their influence and voice, evolve to adapt to shifting external trends, and develop new ways of addressing long-term societal challenges. 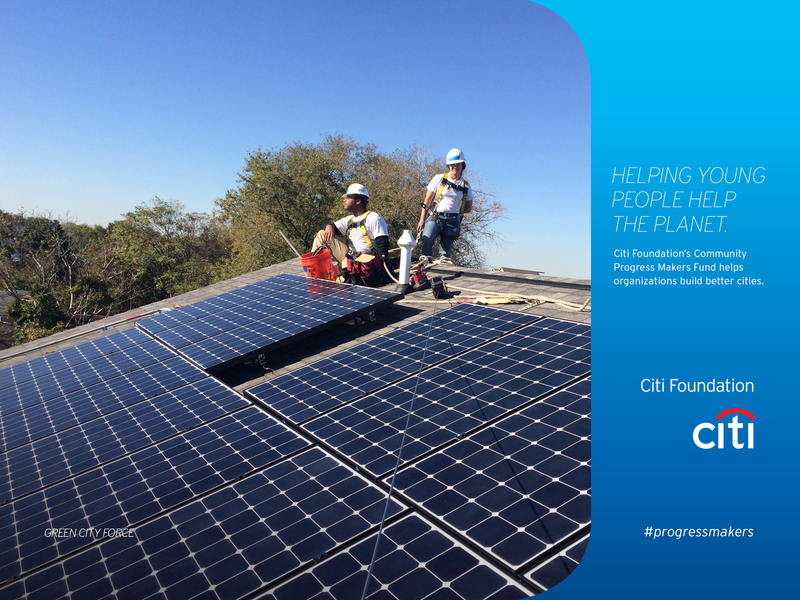 It was this need that drove the Citi Foundation to launch the Community Progress Makers Fund in 2015, providing multi-year, core operating support to nonprofits in six U.S. cities. Read More.